The Lady Bird Johnson Wildflower Center of The University of Texas at Austin has been recognized with an outstanding achievement award from the National Invasive Species Council (NISC) for its outreach and educational initiatives to address non-native, invasive species. Invasive plants and animals that are not native to the United States cause more than $100 billion annually in economic and other losses. The Wildflower Center’s senior director, Dr. Damon Waitt, received notice Feb. 25 of the center being honored with an Outstanding Achievement in Invasive Species Outreach and Education Award. (A National Invasive Species Awareness Week March awards banquet in Washington, D.C., was cancelled with the government sequester). Wildflower Center staff has worked for more than a decade to raise public awareness and coordinate responses to the threat of invasive species. This has included fostering partnerships among state and federal agencies, academia, conservation organizations and citizen action groups to understand and address the harm caused by these species that compete with native plants and animals for resources. In 2008, Waitt was appointed by the Secretary of the Interior to serve on the Invasive Species Advisory Committee of the NISC. He is also the center’s liaison to the National Environmental Coalition on Invasive Species, past chair of the National Association of Exotic Pest Plant Councils and founding president of the Texas Invasive Plant and Pest Council. In Texas, the center developed and manages the state’s online information clearinghouse about invasive species. Created in partnership with Texas A&M Forest Service, Texas Parks & Wildlife and other stakeholders, www.texasinvasives.org has been used since 2006 for learning about and reporting the presence of invasive species such as zebra mussels and giant salvinia, as well as for documenting the savings provided by volunteer-based efforts toward invasive species. The site served more than 126,000 unique visitors with more than 600,000 pages of information in 2012. Jessica Strickland, the center’s invasive species program manager, helps update that website’s content and manages a monthly e-newsletter about state invasive species activities. She also trains Texans to report on harmful invasive species. More than 1,600 citizens have undertaken Invaders of Texas Citizen Science training and have reported over 15,000 invasive species observations statewide. These citizen scientists take photos, plot GPS locations and obtain other data on invasive plants and pests. They upload the information into the Texas Invasives website for sharing statewide, with Center staff feeding the information into a national invasive species database. In 2011, Waitt and Strickland expanded this citizen scientist program to include early detection and response to invasive pests and plants that haven’t reached Texas. The Sentinel Pest Network focuses on12 threatening creatures, including the insect Emerald Ash Borer and the plant cogongrass. These pests of concern were determined by USDA’s Animal and Plant Health Inspection Service, which funded the program. 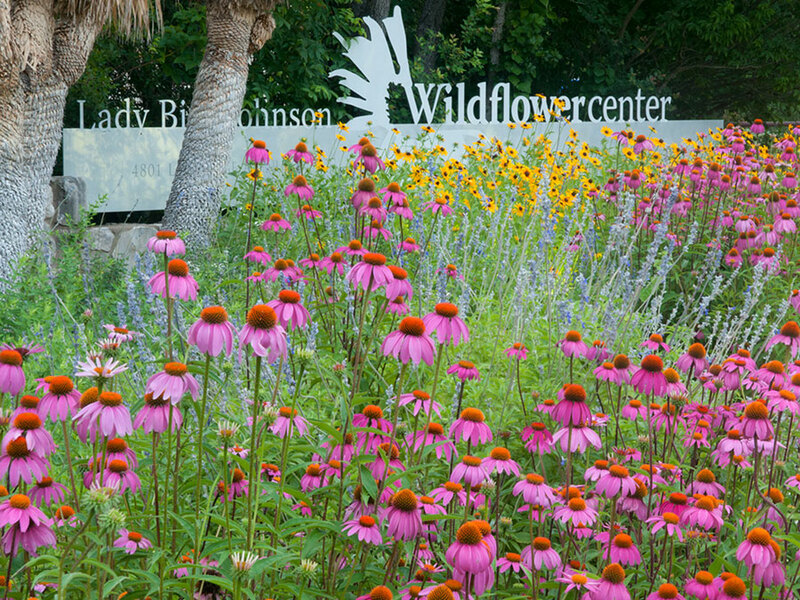 The Wildflower Center has also worked since 2010 with the City of Austin to develop and guide implementation of an Invasive Species Management Plan. Although several states have these plans, Portland, Ore., is the only other metropolitan area nationally to have one. Matthew O’Toole (the center’s project manager for development of the city’s management plan), Landscape Steward Michelle Bertelsen and other center staff worked with Watershed Protection, Austin Parks & Recreation, Austin Energy, Austin Water Utility, Keep Austin Beautiful, the Austin Parks Foundation and other stakeholders on a plan to help city staff identify and manage invasive species on thousands of acres of land and 660 miles of waterways. Strickland will lead public workshops starting March 23 at the center where volunteers and city staff will be trained to identify and remove some of the 24 invasive species the city will be targeting on its properties beginning this summer.